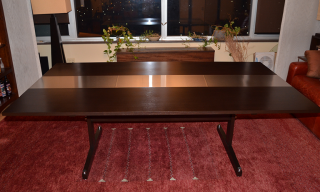 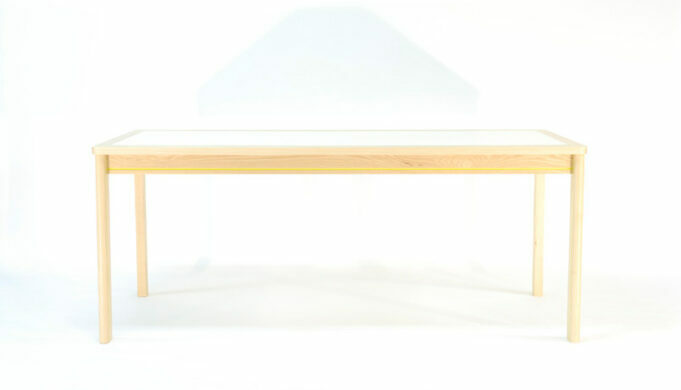 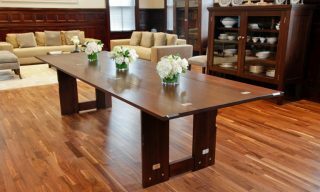 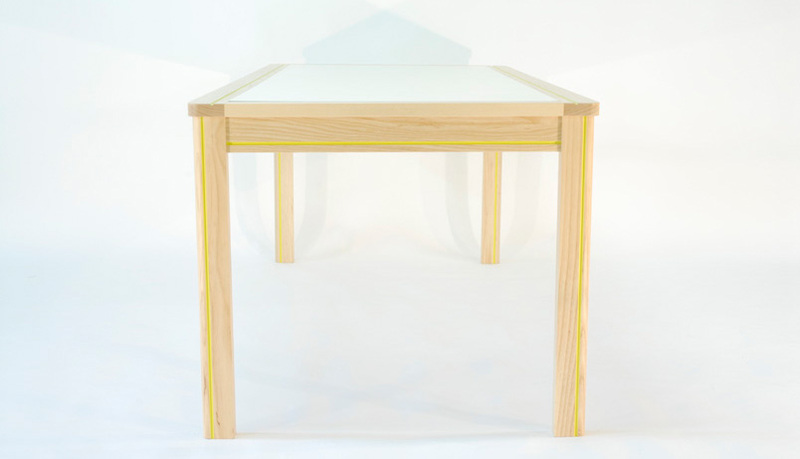 We started with a basic dining table form, and embellished it with a few details, including a frame and panel top. 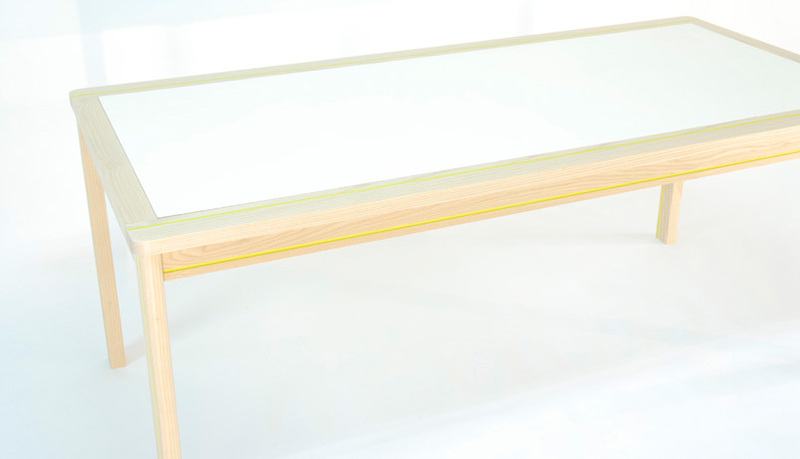 The removable top panel is shown here in lacquered mdf, but can also be made in Corian, glass, acrylic, etc. 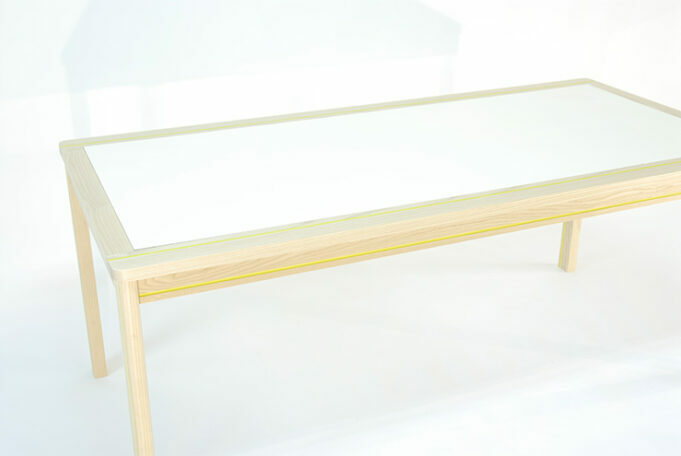 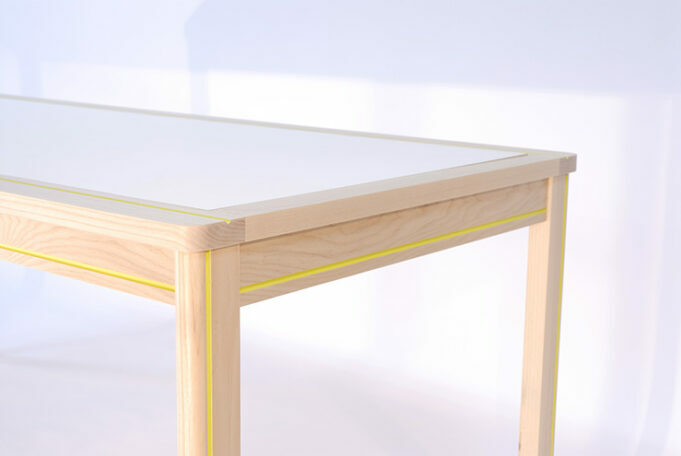 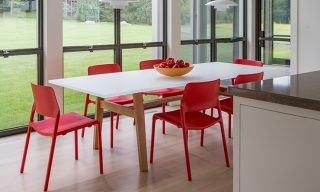 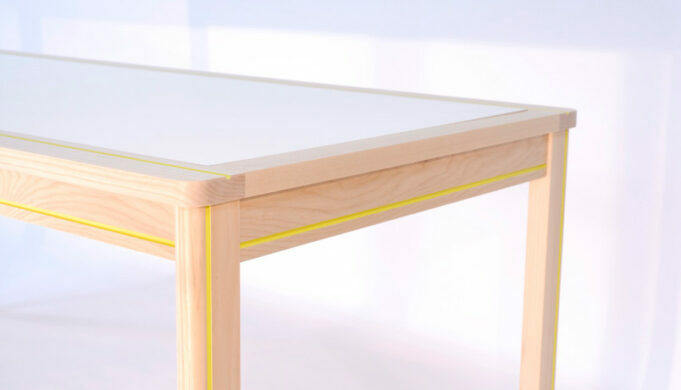 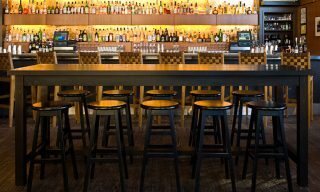 The corners of the table are softened by rounded legs beneath the rounded corners of the top frame. 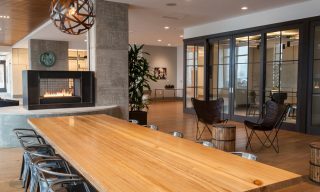 We used small recessed channels for the color stripes, for architectural detail, and to protect the paint.